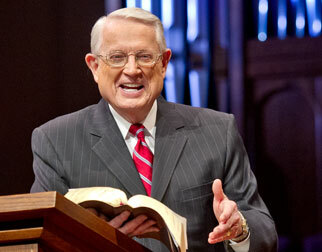 Listen to Chuck Swindoll’s overview of Hebrews in his audio message from the Classic series God’s Masterwork. The author of the letter to the Hebrews remains shrouded in mystery. Even early in the church’s history, a Christian as learned as Origen had to admit his ignorance of the true author of Hebrews. Several theories regarding the author’s identity have been proposed over the years, but all of them contain significant problems. Most of the churches in the eastern part of the Roman Empire believed Paul to have authored the book, leading to its early acceptance into the Canon by the churches in those areas. Even though Clement of Rome drew much from Hebrews in his late-first-century letter to the Corinthian church, many in the Western church pointed away from Paul as the source of the book. 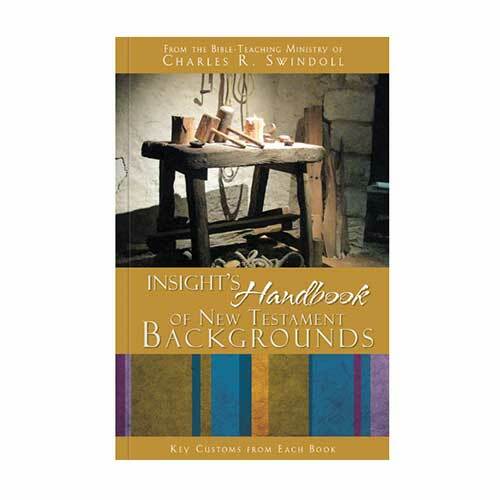 Authors such as Luke, Barnabas, Apollos, and even Clement have been considered as possibilities. 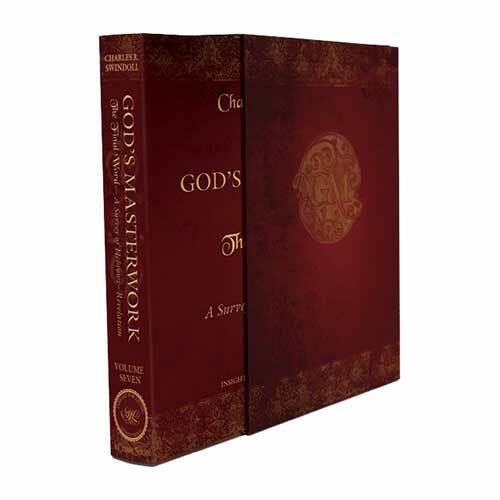 The unknown authorship of this book should not shake our confidence in its authority. Hebrews makes important theological contributions to the biblical Canon, it has been drawn upon as sacred Scripture since the late first century, and Christians have for two millennia consistently upheld the divine inspiration and, therefore, the canonicity of the book of Hebrews. The strongly Jewish character of the letter to the Hebrews helps to narrow down its date of composition, most likely AD 64–69. 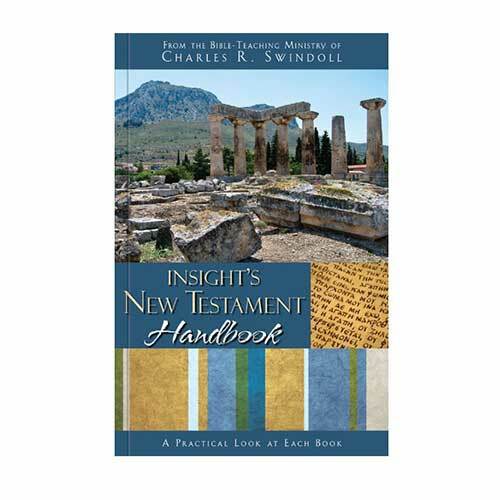 Significantly, the book makes no reference to the destruction of the temple at Jerusalem in AD 70, and the author wrote as if the sacrificial system were still in existence (Hebrews 10:1–2, 11). With its myriad references to Hebrew customs and the Old Testament, the book was likely sent to a Jewish Christian community, possibly in Rome. Why is Hebrews so important? 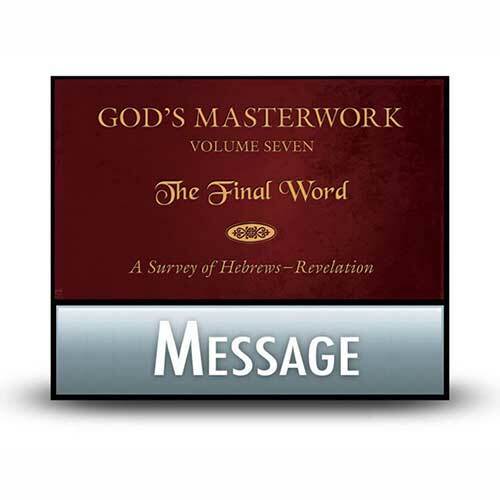 Hebrews clearly lays out the present priestly ministry of Christ in the life of the believer. Jesus is both the divine Son of God and completely human, and in His priestly role He clears the way for human beings to approach the Father in heaven through prayer (Hebrews 4:14–16). The priesthood of Jesus is superior to the Old Testament priesthood of Aaron, because only through Jesus do we receive eternal salvation (5:1–9). Furthermore, Jesus became the permanent and perfect High Priest, going beyond all other priests by offering Himself as a sinless sacrifice on behalf of the sins of human beings (7:24–26; 9:28). Throughout its pages, Hebrews makes clear that Jesus Christ exceeds all other people, pursuits, objects, or hopes to which human beings offer allegiance. Hebrews pictures Jesus as better than the angels, as bringing better lives to humanity through salvation, as offering a better hope than the Mosaic Law could promise, as a better sacrifice for our sins than a bull or a goat, and as providing a better inheritance in heaven for those who place their faith in Him (Hebrews 1:4; 6:9; 7:19; 9:23; 10:34). Jesus is indeed superior to all others. This message of the superiority of Jesus would have been particularly important to Jewish Christians in Rome, who were struggling under Nero’s persecution and were considering moving back toward the Mosaic Law. The writer to the Hebrews showed these Jewish Christian believers that, though they were faced with suffering, they were indeed following a better way . . . and they should persevere. The ancients created idols fashioned of wood and stone. Modern society has set aside that type of idol in favor of new idols—idols of fancy gadgets, material wealth, a comfortable lifestyle, and even our children. Human beings have seen and experienced the limitless bounty of idolatry, where we place some created object or person in the place of the one true God. What idols do you hold dear in your life? The letter to the Hebrews makes clear that only one Person deserves to hold the primary place in our lives. While we are busy idolizing our move up the corporate ladder or placing all our hopes in our kids, Jesus offers us a better position, a better priest, a better covenant, a better hope, and a better sacrifice. Only when we give Jesus His rightful place in our lives will everything else in life fall into its rightful place. 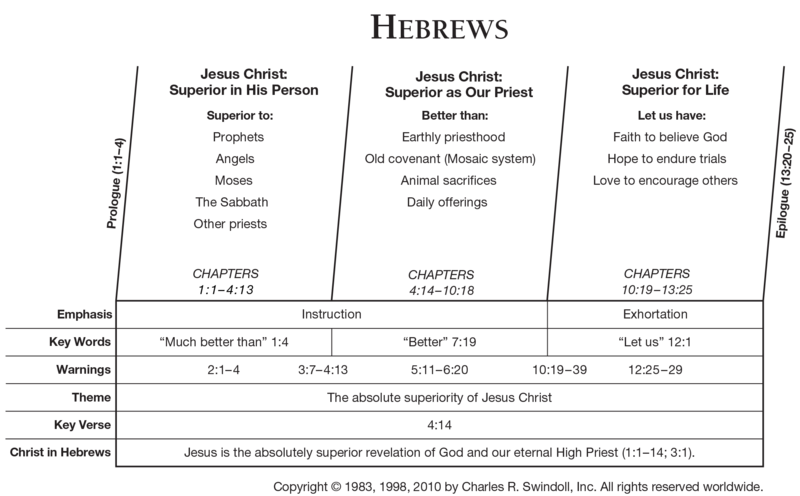 View Chuck Swindoll's chart of Hebrews, which divides the book into major sections and highlights themes and key verses. 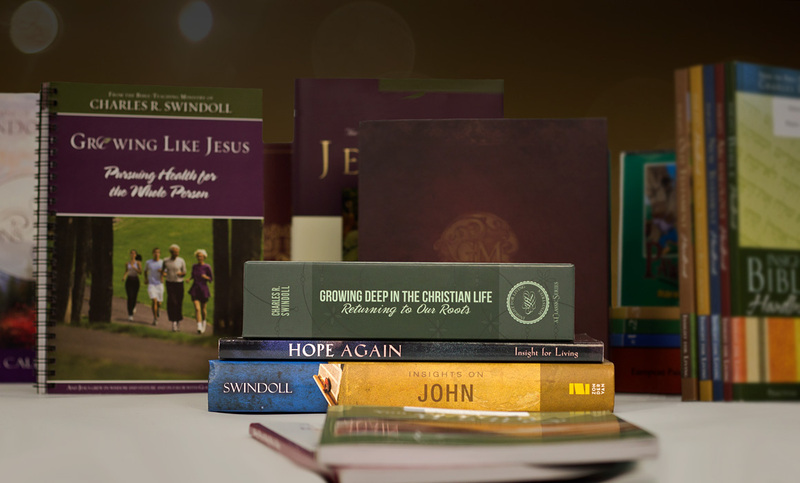 Discover more resources related to Hebrews.